Our youngest relative, age 5, likes to go around the house with arms outstretched, saying “Brains, Brains, they’re coming,” meaning the Zombies. It’s a line from the “Plants vs. Zombies” game he’s been playing since he was 4. We thought this game was too creepy when it first came out a couple years ago, and decided not to write about it. 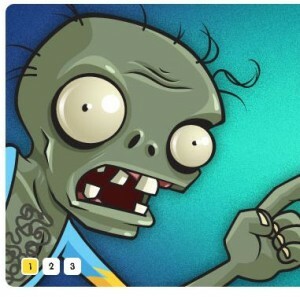 But it’s a megahit for PopCap, which just launched a “Plants vs. Zombies” online store at PvZStore.com. Toys, caps, t-shirts, baby clothes, lunchboxes, mugs, posters, you name it, they’ve got the memorabilia. Creepy apparently is in. A new version of Plants vs. Zombies arrives in Spring of 2013. We know one little guy who will be very excited about that.